Cats, while exceedingly sweet and charming in many ways, have very little regard for the care with which you’ve decorated your home. They view furniture as their playground, and any chair or sofa or rug is the perfect place for them to sharpen their claws. However, your cat and your nice couch can live in harmony. 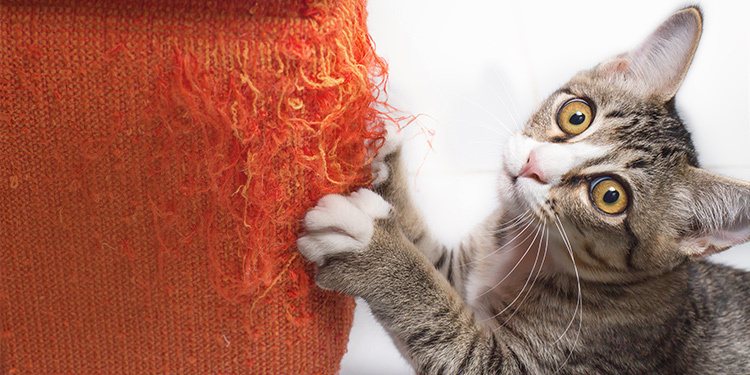 Follow these helpful tips to help keep your cat from making your furniture a scratching post. While it may be frustrating when your cat exhibits behavior that you view as destructive, such as scratching, it’s important to remember that they are following a normal, natural instinct to keep their claws clean and in good condition. Scratching removes the dead outer layer of their claws, as well as any cat litter that may have gotten lodged in between their paws. Scratching is also a way that cats mark their territory. Cats have scent glands in their paws, and when they scratch, they are, in a sense, notifying other animals of their ownership of a space. Scratch marks are also a visual reminder to other animals that the area is occupied by your cat. Another reason that cats scratch is to stretch their bodies and to flex their paws and claws. Just like you, your cat needs to stretch regularly to stay flexible, and scratching is part of that routine. So, while it may seem to be a spiteful act if your cat tears at your curtains, they’re simply acting on instinct. Cats are often drawn to the same textures when they are looking for something to sink their claws into. Nubby, textured and coarse surfaces, such as sofas and table legs, will appeal to your cat. Try covering your furniture with something slick or tacky, like a plastic cover or double-stick tape, to discourage them from using their claws on your furniture. If your cat still tries to scratch your furniture despite the change in texture, try distracting them by picking them up and moving them to a location where they can scratch, like a wooden post or cardboard block. When they begin to scratch the approved place, reward them with affection and treats. This will create a positive association and encourage them to scratch on approved surfaces only. Instead of discouraging them from scratching completely, provide your cat with a place where they are allowed to scratch. Consider buying a cat scratching post and place it near their preferred scratching area. Some cats prefer wooden posts to sharpen their claws, while others enjoy rope or carpet-covered posts. Stacked, corrugated cardboard blocks and sheets are a good solution for smaller spaces because you can lay them on the floor or hang from doorknobs. It’s also helpful to have a few different scratching spots, especially if you have multiple cats. To lure your cat to a new scratching area, make sure it appeals to them. To appease their need to stretch, try a tall scratcher so that they need to stand on their back paws to reach the top. Another good way to introduce your cat to a new scratching post is to play with them on or around it. Use positive reinforcement (think treats and playtime) to make them excited to use their new toy. You can also sprinkle catnip onto a scratching area to make your cat more interested in it. You can minimize damage to your furniture and other belongings by regularly trimming your cat’s nails. Cats scratch to keep their nails nice and sharp, but the duller they are, the less damage they can inflict. For front nails, try trimming them every week; for back claws, every two or three weeks should suffice. The more often you trim your cat’s nails, the shorter you can keep them because the quick (think of your nail bed) won’t grow as high. You can also buy soft nail caps or nail covers for your cat. It’s important to remember that changing undesirable behavior from your cat can take time. However, if you are consistent with watching and gently correcting destructive cat scratching, and provide them with places where they are allowed to scratch, you can expect your feline friend to make some positive changes. If your cat is persistent with destructive scratching, talk with your veterinarian. It could be that your kitty is experiencing a lot of stress or has an underlying medical condition. If you have a problem with your feline fur baby scratching everything they can get their claws into. This article explains the behavior and what to do about it. My son has a beautiful cat named Bruno. Bruno has definitely showed her presence on the end of of his sectional sofa in his living room. I will definitely send this article to him. It contains some excellent information. 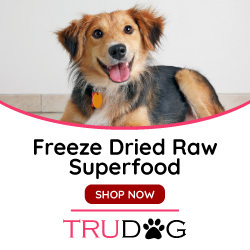 Don’t forget to check out the banner/links to the various on line stores to the right of this page (lap top) or beneath the article (smart phone). 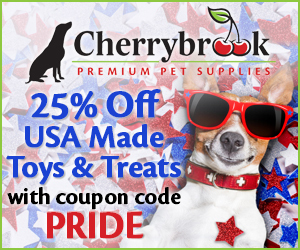 There are traditional pet stores as well as well as specialty stores for gifts that would make any pet parent ecstatic! There is also a link to Amazon and Walmart where you can purchase anything that they sell. 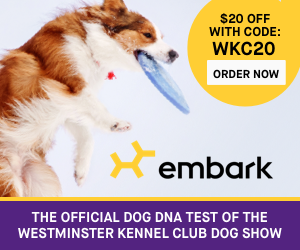 We are delighted to announce a new affiliate agreement with Embark Vet (DNA testing for pups) Just click on the links and shop for pet products as well as fabulous gifts for the pet fanatics on your holiday lists! 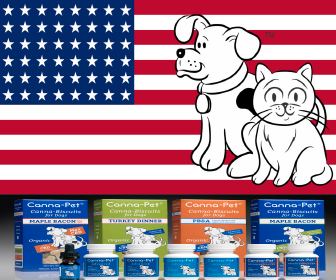 Please note that Lovinmypup will receive a small percentage from each purchase.through the links on this site. This percentage helps us keep the site up and running. We thank you in advance for your assistance in keeping this site operational.